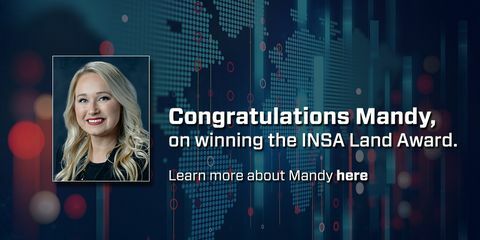 Mandy Rogers, manager of cyber software engineering, cyber and intelligence mission solutions division, Northrop Grumman Mission Systems, recently received the Intelligence and National Security Alliance’s (INSA) Edwin H. Land Industry Award for exemplary support to the intelligence and national security communities. In this interview, Rogers discusses how she got into cyber, the importance of mentorship, and why cyber and intelligence keeps her interested. 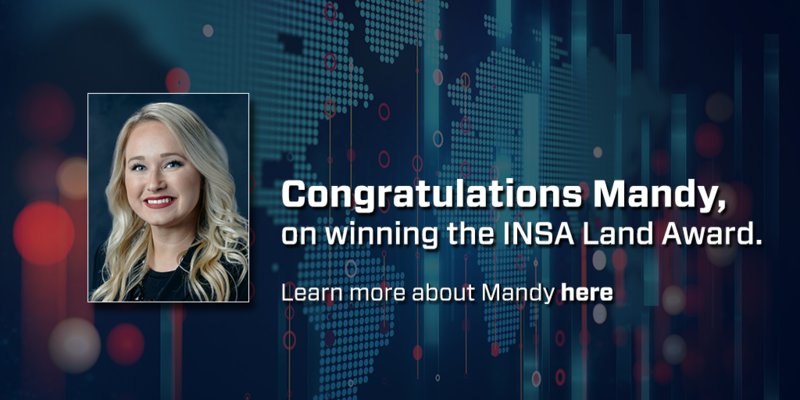 Mandy Rogers, manager of cyber software engineering, cyber and intelligence mission solutions division, Northrop Grumman Mission Systems, recently received the Intelligence and National Security Alliance’s (INSA) Edwin H. Land Industry Award for exemplary support to the intelligence and national security communities. I grew up in a farm-town in Northern Virginia where I really had no thought of pursuing science, technology, engineering and mathematics (STEM). In fact, I was a member of the “Future Farmers of America,” so computer science wasn’t necessarily on my radar. In high school, I lucked upon a new elective called, ‘Computer Math,’ which taught the history of computers and was an introduction to computer programming. I was hooked! STEM and discovering my natural curiosity for solving hard problems were my new passions. My hope now is to inspire future generations to go this route, especially women or those who may not come from ‘high tech’ areas with access to traditional STEM outreach programs. I work with fascinating peers, cutting-edge technology and genuinely feel like I make a positive impact on national security, every day. That’s pretty cool! Did you have any special mentor who helped you along the way? Given my natural curiosity for solving difficult problems - and often through quirky means - I had several teachers in high school advise me to lean toward science and engineering. My grandfather then encouraged me to ‘step up to the plate’ and major in computer engineering at Christopher Newport University - before I knew what ‘engineering’ meant. It is a male-dominated field, and I was the sole female to earn an engineering degree in my graduating class. 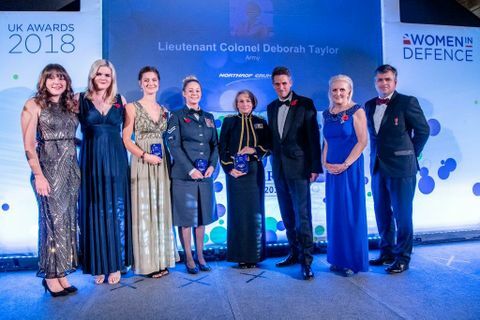 Thankfully, more women than ever are pursuing STEM since today’s hard problems take diversity of thought and people with out-of-the-box perspectives coming together to deliver in the rapidly changing cyber and intelligence field. What’s your advice to young women pursuing this field? Seek out mentors and never box yourself into a particular role. Stereotypes can get in the way of being our full creative self. It’s okay to be an artist and engineer at the same time so don’t say, “You can’t,” because you can. What keeps you motivated and inspired to continue in this field? The constant fluidity in trying new things, to tackle new mission-needs every single day! That’s the exciting part of being in the realm of engineering and intel, there’s bandwidth to try out novel solutions and experiment to learn what works and doesn’t, quite rapidly. We cannot be afraid of failure as failure shows you’re stretching tradition; without occasional small failures there would be no success. This is a constantly evolving field. You get to unravel problems and crank out solutions all in the name of national security. Being able to empathize with the mission is key. When doing this type of work, you form a special bond with your teammates and the end-users for your technology. It’s meaningful work and challenges me to do my best. How does it feel to win this award? This award represents a larger body of work and more than my personal accomplishments--- it’s really for every individual whom has been a positive enabler in my life. 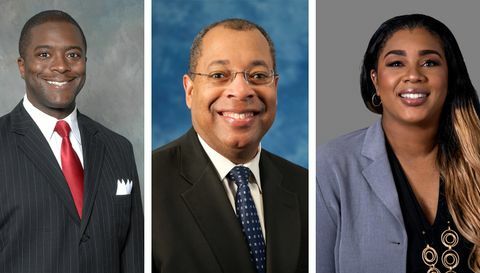 It’s about my mentors and peers and the passionate folks who enabled extraordinary achievements to occur. It’s very humbling and I cannot thank all of the collaborators, leaders and mentors along the way enough. 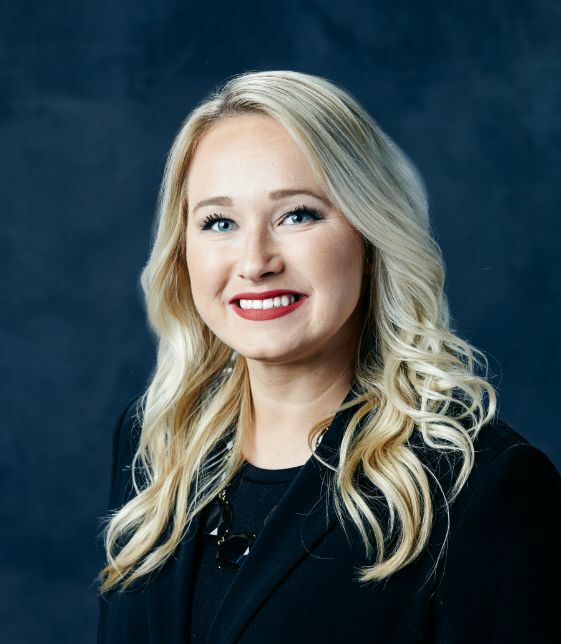 Mandy Rogers is a manager of cyber software engineering and works on advanced mission engineering and software development concepts. 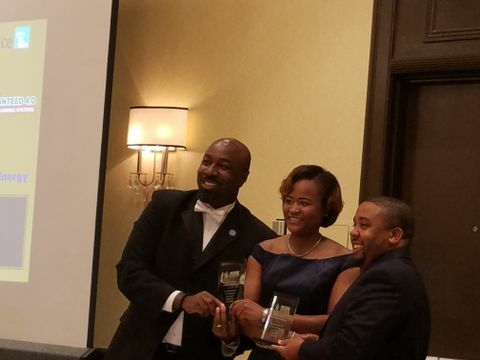 She is a mentor to students in the Advanced Cybersecurity Experience for Students Program at University of Maryland – College Park and Christopher Newport University. Rogers’ mentorship of the next generation STEM professionals helps our nation’s ability to recruit and train top technical talent. Northrop Grumman is a leader in end-to-end cyber for the modern world. In today’s conflicts, a new battlefield is arising – one where traditional systems aren’t the only ones targeted. At Northrop Grumman, we create unrivaled, full-spectrum cyber solutions to actively combat these threats. Our offensive and defensive capabilities act as powerful deterrents, while built-in resiliency hardens your systems so that when attacked, you can trust they remain yours. Want to know about Edwin H. Land’s contribution to national security: Click here.